The mass moment of inertia calculator is a complex tool that helps estimate the moment of inertia of objects with different shapes. This physical quantity is otherwise known as the angular mass or rotational inertia. The moment of inertia is a characteristic property of a rigid body. It plays a similar role in the dynamics of rotational motion as the normal mass in the dynamics of translational motion. 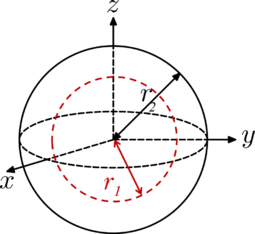 For example, the mass in the kinetic energy equation is replaced by the moment of inertia in the rotational energy equation. 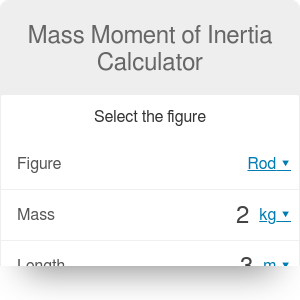 You can use the mass moment of inertia calculator right now - just select a figure and enter its parameters. Or read on to learn what is the moment of inertia, what are its units, and how to calculate the moment of inertia. In the following text, we have also prepared a moment of inertia table with about 23 different figures. It contains almost all of the most common object shapes. Moment of inertia is the measure of the body's rotational inertia relative to a defined, fixed axis of rotation. It determines the torque which is needed for a desired angular acceleration. It is just like how mass determines the force needed for a desired acceleration. In other words, the moment of inertia tells us how difficult it is to put an object into rotation around a specific axis. Remember that the choice of axis is very important, the final moment of inertia value might strongly depend on it! The physical dimension of the moment of inertia is mass * length². The SI unit of the moment of inertia is kilogram meter squared kg * m² and the imperial or US units is pound-foot second squared lb * ft * s² or pound foot squared lb * ft². With the mass moment of inertia calculator, you can perform calculations in any of those units you prefer. 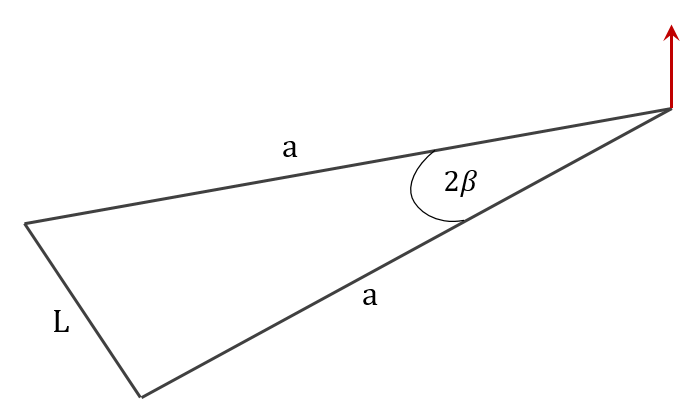 ri is the distance of i-th material point from the axis of rotation. where integration takes place over the entire volume V of the body. 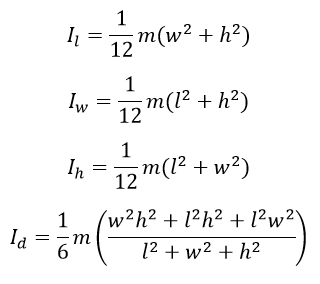 Although integration is not always an easy task, there are many ready-made formulas for the moment of inertia of specific solids. You can select the figure from the list in this mass moment of inertia calculator or check the moment of inertia table in the next section. The mass moment of inertia of a body that we just described, and the second moment of area are often confused. Remember that the mass moment of inertia units are kg * m² (lb * ft * s² or lb * ft²) and the second moment of area units are m⁴ (ft⁴). You have already learned what is the moment of inertia and how you can calculate it from its definition. In the table below, we have listed moment of inertia equations for simple objects with constant mass density, that can be selected in our mass moment of inertia calculator. 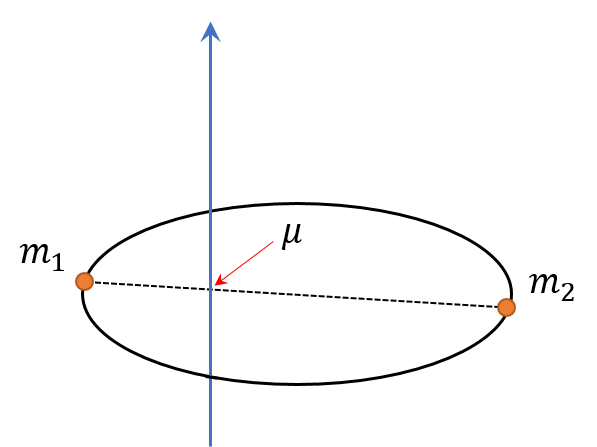 When calculating moments of inertia, it is sometimes useful to exploit the parallel axis and perpendicular axis theorems to estimate moments of inertia about different axes. #1 - ball Solid ball of radius r and mass m with axis of rotation going through its center. 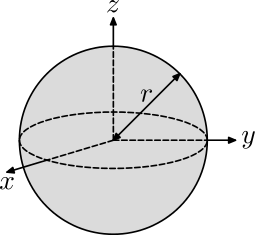 #2 - circular hoop Thin circular hoop of radius r and mass m with three axes of rotation going through its center: parallel to the x, y or z axes. 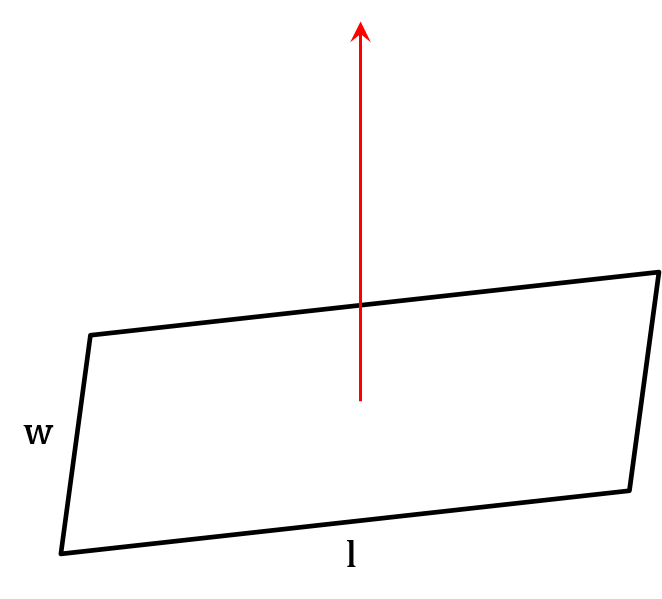 #3 - cuboid Solid cuboid of length l, width w, height h and mass m with four axes of rotation going through its center: parallel to the length l, width w, height h or to the longest diagonal d.
#4 - cylinder Solid cylinder of radius r, height h and mass m with three axes of rotation going through its center: parallel to x, y and z axes. 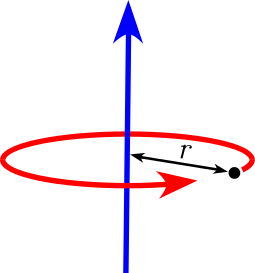 #5 - cylindrical tube Cylindrical tube of inner radius r₁, outer radius r₂, height h and mass m with three axes of rotation going through its center: parallel to x, y and z axes. #6 - cylindrical shell Cylindrical shell of radius r and mass m with axis of rotation going through its center, parallel to the height. #7 - disk Thin solid disk of radius r and mass m with three axes of rotation going through its center: parallel to the x, y or z axes. 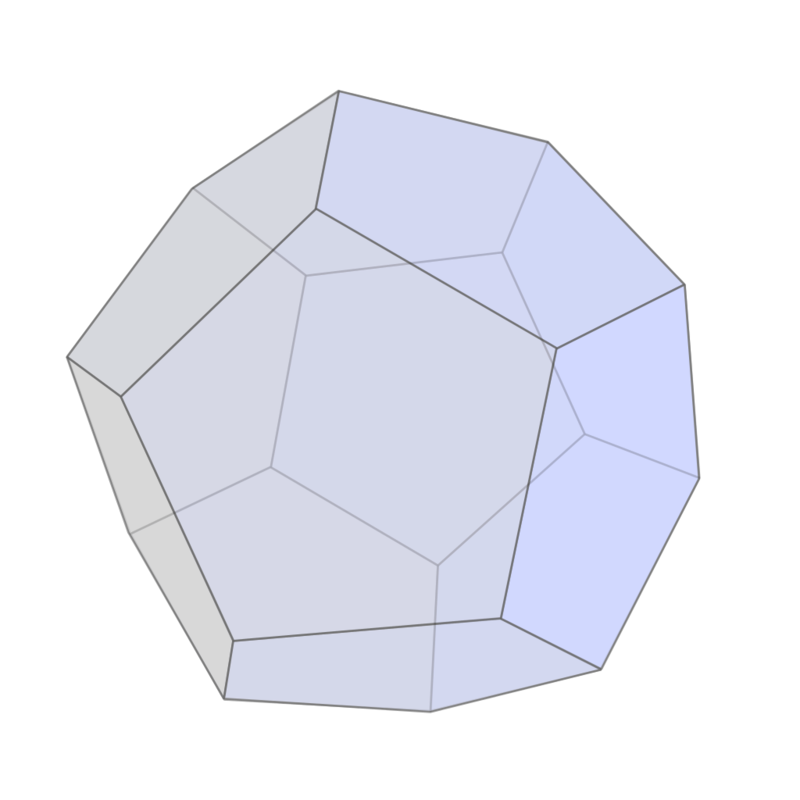 #8 - dodecahedron Solid and hollow, regular dodecahedron (twelve flat faces) of side s and mass m with axis of rotation going through its center and one of vertices. #9 - ellipsoid Solid ellipsoid of semiaxes a, b, c and mass m with three axes of rotation going through its center: parallel to the a, b or c semiaxes. 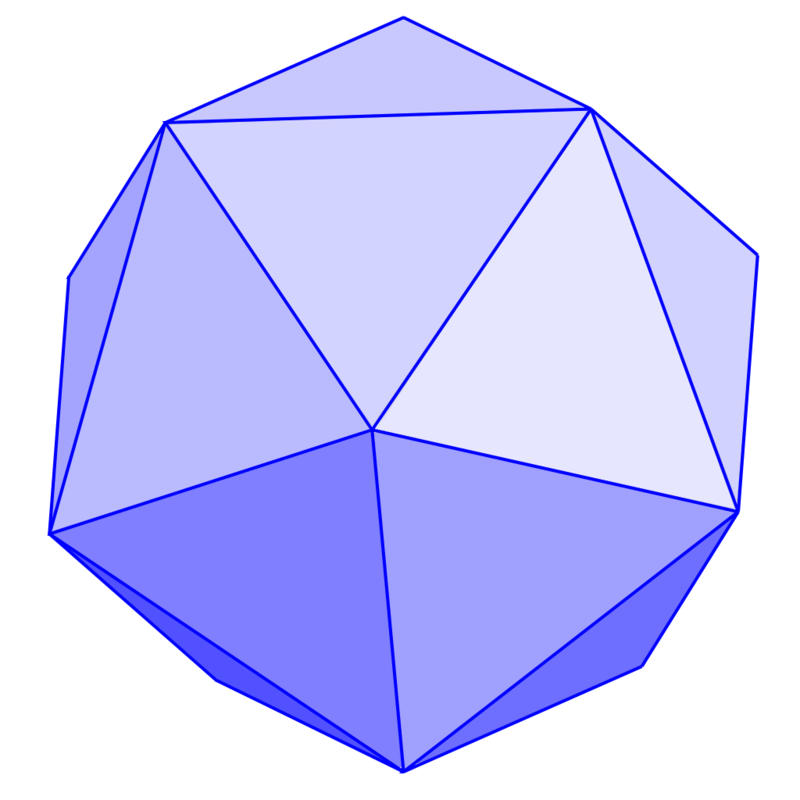 #10 - icosahedron Solid and hollow, regular icosahedron (twenty flat faces) of side s and mass m with axis of rotation going through its center and one of vertices. #11 - isosceles triangle An isosceles triangle of mass m, vertex angle 2β and common-side length L with axis of rotation through tip, perpendicular to plane. #12 - octahedron Solid and hollow, regular octahedron (eight flat faces) of side s and mass m with axis of rotation going through its center and one of vertices. #13 - point mass Point mass m at a distance r from the axis of rotation. #14 - rectangular plate Thin rectangular plate of length l, width w and mass m with axis of rotation going through its center, perpendicular to the plane. #15 - regular polygon Plane regular polygon with n vertices, radius of the circumscribed circle R and mass m with axis of rotation passing through its center, perpendicular to the plane. Radius R can be expressed with side s.
#16 - right circular cone (hollow) Hollow right circular cone of radius r, height h and mass m with three axes of rotation passing trough its center: parallel to the x, y or z axes. 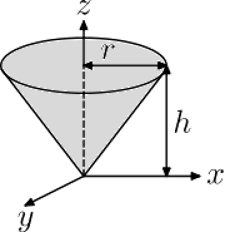 #17 - right circular cone (solid) Solid right circular cone of radius r, height h and mass m with three axes of rotation passing trough its center: parallel to the x, y or z axes. 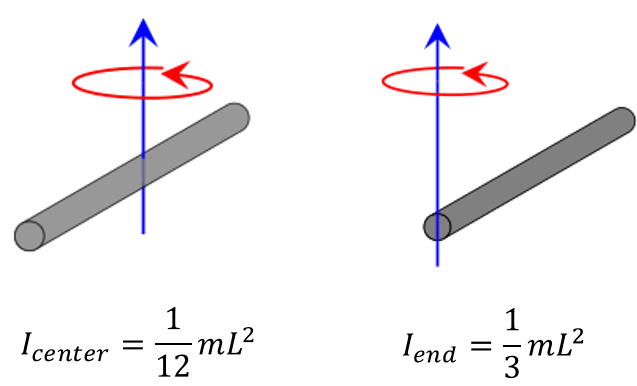 #18 - rod Rod of length L and mass m with two axes of rotation: about its center and one end. #19 - sphere Hollow sphere of radius r and mass m with axis of rotation going through its center. 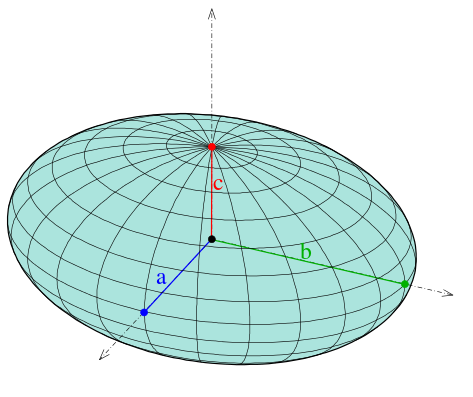 #20 - spherical shell Spherical shell of inner radius r₁, outer radius r₂ and mass m with axis of rotation going through its center. #21 - tetrahedron Solid and hollow, regular tetrahedron (four flat faces) of side s and mass m with axis of rotation going through its center and one of vertices. 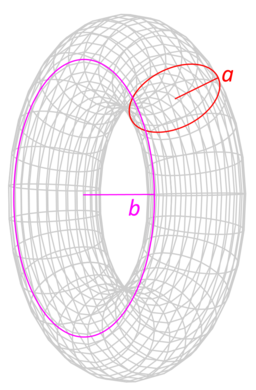 #22 - torus Torus with minor radius a, major radius b and mass m with axes of rotating going through its center: perpendicular to the major diameter and parallel to the major diameter. #23 - two point masses Two point masses m₁ and m₂, with reduced mass μ, separated by a distance r with axis of rotation going through the center of mass and perpendicular to the line joining the two particles. Mass Moment of Inertia Calculator can be embedded on your website to enrich the content you wrote and make it easier for your visitors to understand your message.